Ask a new business owner to tell you about their brand strategy and most will stop at their logo, which means they have none. Small business owners consistently overlook the importance of branding and do so at their peril. This problem even persists across large organizations where the understanding and use of a strong brand can get diluted, distorted or miscommunicated. Understanding the role branding plays in your business, the strategies behind it, and the pillars of successful branding will vastly increase your chance of success. In this blog, you’ll find the 10 pillars of successful branding that marketers can use to establish or re-evaluate their brand. Your brand purpose is the meaningful reason behind why your brand exists. To extract your purpose, you need to look at who you serve. Your business solves a problem for someone. Whether that problem is hunger, thirst, a flat tire, the need to get from A to B, or a lack of experience in a particular field, you provide a solution to a problem your ideal customer needs or wants, to solve. Once your solution fills that void, there is a sense of satisfaction from your audience that evokes an emotion. Even an accountant filing tax returns provides satisfaction. They relieve their clients from the stress of tax responsibility for a year. Identifying the emotion that your client will feel on the back of your solution unlocks the meaningful purpose. Tapping into the impact that may have on their lives (even if just for a fleeting moment) and your brand purpose becomes not about how much profit your business can turn but how many people it can impact. Take, for example, TOM’s, a primarily online shoe company. They have an online store, you pay with your card, and your new shoes are delivered to your door. Simple. What makes TOM’s different from other shoe companies is their brand purpose. The meaningful reason behind why they exist is to improve lives. For every pair of shoes you buy, TOM’s will help a person in need. Not only does that make the customer feel good about handing over their money, but also every individual working for TOM’s will feel they make a difference in the work they do. Your vision is where you plan your business to be in the future. Thinking about where you want your company to be is a vital part of brand creation. It is about projecting your brand into the future and painting a picture of your future brand. We tend to do more for others that we do for ourselves. When you go back to the brand purpose and realize that your brand is about impacting other people’s lives, you can be a little more ambitious about the future. Where do you want to be in 10 years and what does that future brand look like? How large is your expansion plan? Will you be expanding your product offerings? What does success look like for your company? These are all vital questions to ask yourself when building your brand. Your vision should be big enough to inspire but not too big for people (within the brand) to buy into it. Microsoft’s vision was to put “A computer on every desktop in every home”. This vision was big enough to inspire a movement without being too big for the leadership team to buy into it. Your mission is a statement of intent that encompasses both your company’s purpose and vision. It is a commitment to impact the lives of the people you serve and deliver on what you promise while you are on the path to your future brand. It shifts the paradigm of the vision and mission from what you want to achieve to what you want to give. In living your purpose, your mission becomes a self-fulfilling prophecy. Brands on a committed mission aligned with their purpose and vision set the tone for a strong working culture. Those who come to work every day and feel like they are part of something bigger than themselves have meaning in the work that they do, which instills happiness. Brands boasting happy people radiate this through their interactions and become known as much for their attitude as the solution they offer. Starbucks mission statement optimises a commitment that is filtered through purpose with a dash of vision: to inspire and nurture the human spirit – one person, one cup and one neighborhood at a time. Brand values are the rules of engagement and the moral compass for the way you do business. If your mission sets in place your overarching commitment in achieving your vision for the future, then your values are the behavioral commitments in your day-to-day activities. Like all elements of branding, they are internal first and foremost. It goes without saying that your values should be aligned with your purpose, vision, and mission, but communication is key. Communicating core values often internally ensures that everyone is singing from the same hymn sheet and that there is a collective underlying message in every interaction. People that know us, know what our core values are not because we tell them but because of our actions and behaviors over time. The same is true with brands. It is common practice today to list your core values on a dedicated page of your website, but without the actions to go along with the words they are little more than marketing. Zappos, an online retailer, demonstrates the possibilities of a brand that lives its core values in the way it behaves. From the way they deal with customers to how they hire talent, all decisions and actions are filtered through their values. How does this impact how their audience sees them? By delivering on these core values they inspire customers, and advocates for life—see for yourself. The position your brand takes in the market comes down to your audience, competition, and differentiators. When you know the finer detail of who your audience is, what they like or dislike, their behavior is of the utmost importance. When you understand what their problems are, then you can begin to understand the best way to appeal to them. Your competition is likely already serving your intended audience so understanding their appeal, as well as their strengths and weaknesses, allows you to uncover opportunities. Differentiators are why your audience will remember you. What is it that makes you different from your competition? Why should your audience choose you? Even if on paper, your competition is towering over you in term of capabilities, you can always find something that sets you apart and makes you memorable. 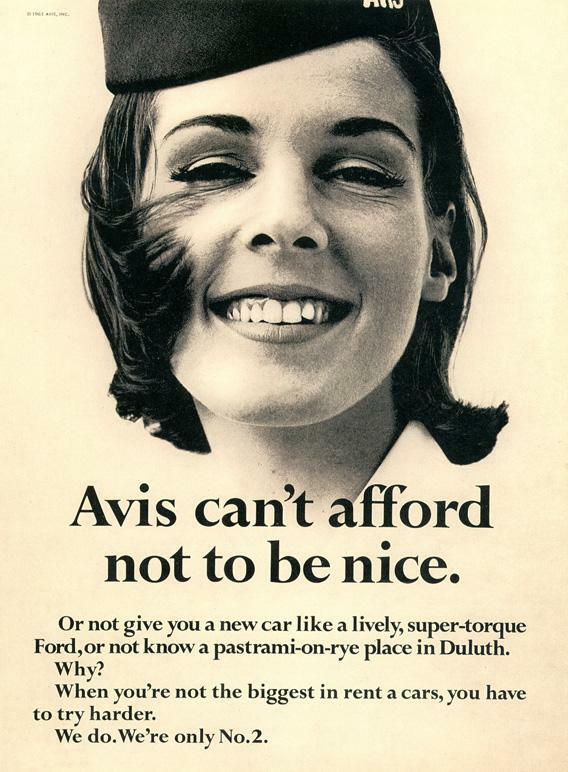 When Avis was entering the car rental market dominated by Hertz, they positioned themselves creatively with their tagline, “We’re only no.2, but we try harder.” In doing so, they established themselves in the market and took market share from the competition. Brand personality should be a reflection of who your audience is and what appeals to them, along with the position you want to take in the market. Your audience wants to see themselves, or the best version of themselves, in your brand so when a brand portrays the personality of their audiences’ aspirations, they resonate on a powerful level. Take Mercedes as an example. The luxury car company’s personality communicates confidence, sophistication, and exclusivity, which appeal to the aspirations of their audience. Likewise, Red Bull has aligned themselves with extreme sports and project an energetic, youthful, and adventurous personality which appeals their audience’s aspirations. Tone and language choices are an extension of your personality and should also reflect your audience. Both have always been important but in today’s content driven era, its importance has been magnified. As people, we might use a different tone of voice and language set with different people, for example, your grandma vs. your best friend. If you reversed your communication and spoke to you grandmother as you would your best friend, chances are, your tone wouldn’t resonate with her. If, as a brand, you want to appeal to 18-24-year-old male skateboarders, the formality, and energy of the language that you use will be different than if your audience is 35-50-year-old female foodies. When it comes to resonance, we must always trace it back to the source of who we want to resonate with and ask, “What do they want”? Your brand still needs to be authentic so give your personnel the autonomy to be human while directing them with flexible guides. Now that you know your audience, position, and personality of your brand, you have the information needed to craft an effective core message the cornerstone of which is your differentiator. In the mind of your audience, you get to be one thing. That one thing is your differentiator and your core message needs to be built around that. Your core message is underlying and should be incorporated into all forms of communication. You can craft a concise and memorable tagline from this but the core message itself can be up to two sentences. It should be short enough for internal personnel to memorize, but long enough to be impactful. It can be expressed in many different forms but should always drive home what you want your audience to remember you for. This double’s down as a tagline with how concise it is but it can be applied and adapted throughout all communication with the underlying message: “we save you time and money when it comes to your car insurance”. Your brand identity system is a collection of visual elements that work together to form the look and feel of your brand. A logo on its own has very little impact as it is a single visual representation and cannot provide a look and feel for the brand on its own. The role of the visual identity is to trigger brand recall and a visual identity with numerous distinct visual elements working as a team to create a look and feel has a much greater chance of making that visual connection and triggering that memory. 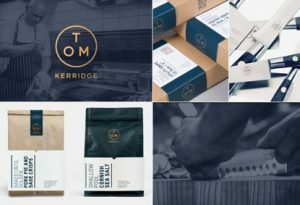 Take a look at the brand identity system from Tom Kerridge. It boasts a logo, color palette, image style, packaging, typography, all working together to create a unique and memorable style. As the richest man in the world, Jeff Bezos said, “Your brand is what people say about you when you’re not in the room”. 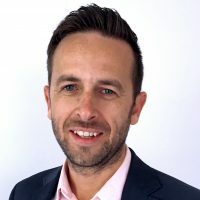 In essence, your brand is your reputation and therefore any interaction with your audience, or brand expression is a building block of your brand. Whether visually, audibly, or experientially, your brand needs consistency is its expression. Any instances of expression that are off-brand, whether a behavior that is not aligned with values, decisions that are not aligned with the vision or visual expressions that don’t follow brand guidelines, your brand is being damaged. The key to brand expression is alignment. Every pillar mentioned above needs to be aligned with the one before it so there is a consistent message across every touch point. The best example of consistency is the king of modern branding, Apple. Since Steve Jobs came back into the fold in 1997, Apple changed its trajectory. Everything was simplified. The purpose, vision, mission, values, personality, language, the tone of voice, core message, brand identity and expression. We all know who they are, we all know what they stand for and whether you are part of the cult following or not, you can’t help be in awe of their brand. It’s safe to assume that most entrepreneurs start their business in the hope that it will be successful. There are very few who position themselves well enough to give that business the best chance for survival, establishment, and then success. Building a brand from the inside-out that has substance, meaning, values, personality, and visual appeal gives a business a starting point, a future brand, and a vehicle to get there. I’d love to hear how you’re incorporating these 10 pillars into your own branding. Tell me about it in the comments!